Babar Iqbal becomes pride for the country as he has achieved the distinction of being the ‘youngest Microsoft Certified Technology Specialist ( MCTS)’. 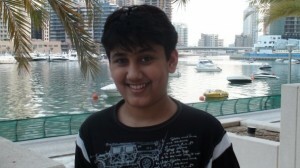 He made this world record by obtaining 91% marks in MCTS exam at the age of 12, the exam was held in Dubai. In 2006 Babar became world’s youngest Microsoft Certified Professional (MCP) by securing 87% marks, at that time he was only 9 years and 27 days old. Babar is currently working as Microsoft technical co-coordinator in the United Arab Emirates, giving technical support to university students in the U.A.E. Besides this, he is also working on Microsoft’s new technology named, Microsoft surface technology. It is a multi touch table. He is also working on Microsoft studio which is related to X-BOX 360 and Windows gaming development. Babar considers his success as the result of continous help and support provided to him by his family specially his elder brother Asif. He considers Asif as his teacher, best friend and a source of inspiration. In 2009 he was awarded by President of Pakistan Asif Ali Zardari, Interior Minister and National Assembly. Babar is more than willing to work here in Pakistan for his beloved homeland. He wants to share his knowledge with his fellow countrymen but blames the lack of infrastructure and facilities as the biggest hurdle in his way. This amazing kid enlightens the fact that Pakistan is full of talent but only lacks the environment in which this talent could be flourished. Serious notice should be taken and some infra structure should be developed so that our country’s talent doesn’t seek for shelter in the away countries.